B.S. in Accounting from Florida State University. Was the business manager for the ABC affiliate television station in Tallahassee, FL for over 7 years. Worked for Miami importers in many capacities including: sales, purchasing, farm relations and business management. 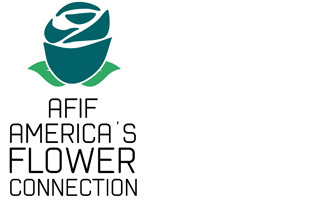 Worked with AFIF on their trade shows from 1999 through 2001. Has been exposed to the flower industry for more than 30 years, as her mother was one of the first woman to own a flower importing company in Miami, her mother was one of the founding members of AFIF and sat on the board of directors for 24 years. Boldt was president of the Miami Floral Importers Credit Association from 2000 to 2004. Joined AFIF full time in 2004 as the Executive Vice President. Association sponsor and spokesperson along with PMA in getting the floral GTIN implemented throughout the industry. "Better Standards for Better Practices". Awarded and participation in the Florida Liaison Agriculture Group in 2008 with trade representatives, USDA and CBP. Taste of the South (TOTS) annual charity event in Washington DC. Multiple years as leader in Boy Scouts.